Whether you decide to cover the odd chair, end of aisle chair or every chair at you event, we have a fantastic range for you to choose from. 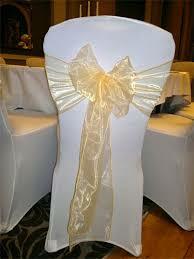 A simple chair cover, sash or drape can help tie in together the theme of your day. White chair covers can transform a chair and give it the blank canvas you may require to add your colour theme using an organza sash. They are made of elastin and stretch over most chair types. These are the original chair sash, and are still as popular as ever. 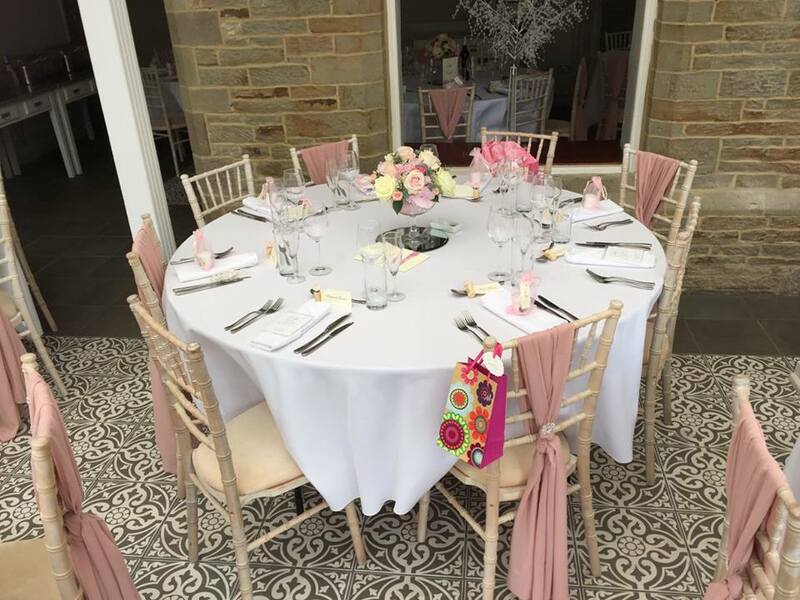 We hold a varied amount of colours to compliment your event perfectly, team them with our white chair cover to really set the look perfectly. Simple and stunning. They work well in a rustic setting and can be tied in may ways. 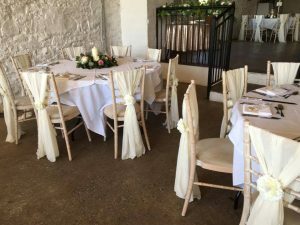 The most popular is to have them tied into a bow at the back, however a great new look for late 2016 and a trend for 2017 will be the draped hessian look. These sashes work particularly well with our hessian bunting and also hessian and lace table runners – see Table decorations. Our newest range and have proved incredibly popular. These are beautiful and add a real touch of elegance to a chair. They work best when used on a chivari chair and can be complimented with a flower or brooch if you require. These chair covers are simply gorgeous. They add so much modern style to an event yet look elegant and beautiful. They work best on a chivari chair and there is an option to add ivory flower to the ivory waterfall if you wish. All of our sashes can be hired on a DIY basis or you can include set up from us to take the hassle away and dress the chairs for you. All prices are exclusive of VAT. 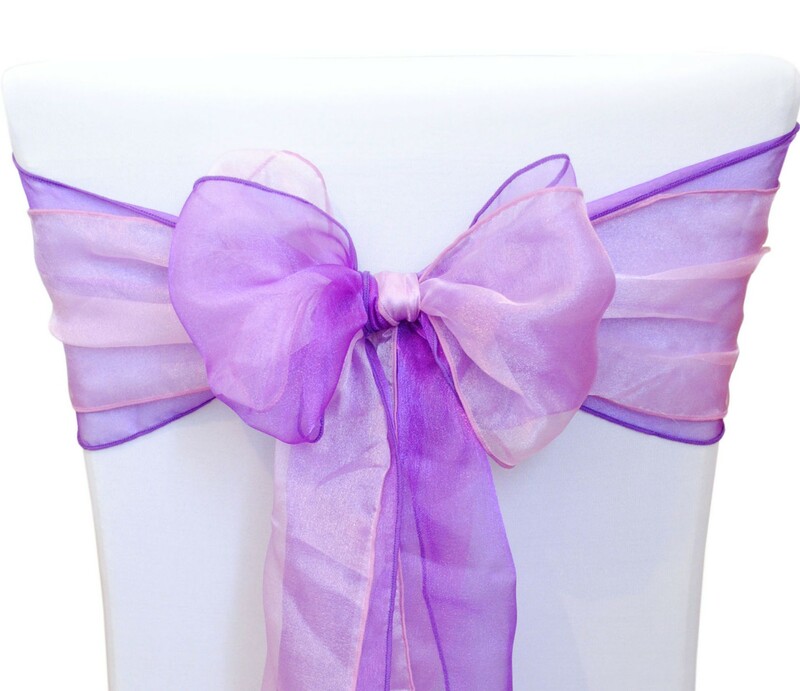 To hire Bella Rose items or for any questions, simply get in touch with us here.